FIATA (in French “Fédération Internationale des Associations de TransitairesetAssimilés”), International Federation of Freight Forwarders Associations, based in Zurich, Switzerland is the world umbrella body of the freight forwarding industry. Within FIATA, a specialized body known as the Advisory Body Vocational Training (ABVT), has consistently worked to build up a solid reputation as a major contributor to the development of vocational training in the freight forwarding industry. 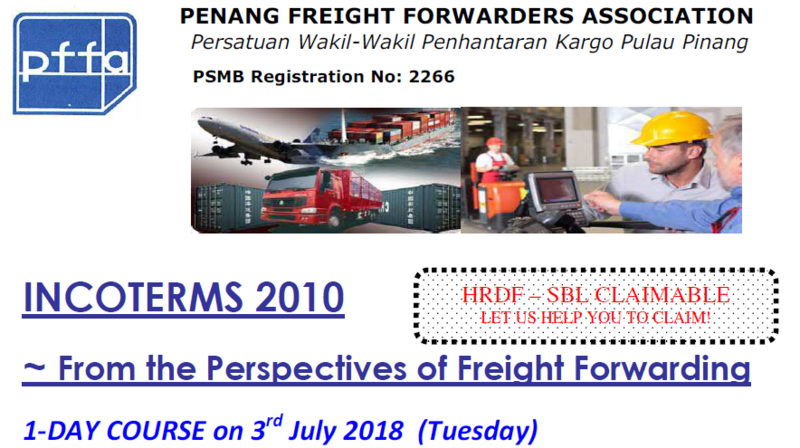 Whilst it does not itself deliver professional training programmes, it operates as a knowledge champion in the international freight forwarding and logistics management field. 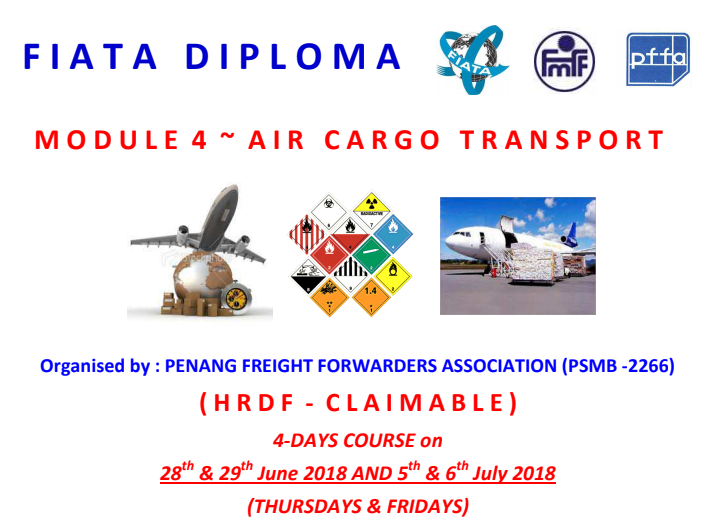 In carrying out this objective the ABVT has developed a set of minimum criteria for the award of a qualification known as the FIATA Diploma in Freight Forwarding by Vocational Training and Examination (commonly called the FIATA Diploma). International sales where the buyer and the seller deal with each other from a distance through verbal and written communications can lead to misunderstandings and disputes because of different interpretation of the terms used in the sales contract. In order to avoid such situations, which hinder the smooth flow of international trade, the International Chamber of Commerce (ICC) has evolved standardized trade terms known as the “Incoterms” (International rules for the interpretations of trade terms). These terms deal with delivery conditions between the buyer and seller, and their main purpose is to apportion the costs and risks of the transport movement and related operations between the two parties. In an international sales contract it is necessary for the seller and the buyer to clearly determine what elements of costs would be included in the price quoted by the seller. Either the buyer or the seller must bear the cost of transport from the seller’s point of origin to the buyer’s point of destination. The Incoterms are not international rules applicable to the sales contract. They become operative only when the parties to the contract agree to apply them. This module will provide you with the necessary information relating to the various Incoterms and the obligations of seller / buyer under different terms.